More rusting rat rod potential. Photo Picture Classic Cars for sale & Classifieds - Buy Sell Classic Car & Classic Truck Classifieds. 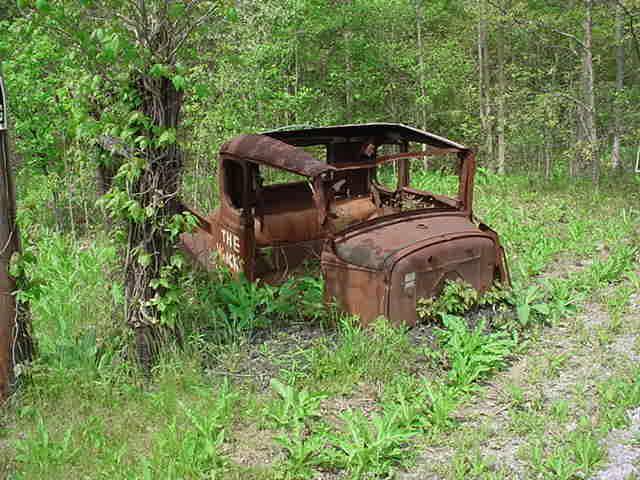 Car Photos > Rusty Rat Rods & Hot Rods from the 30's, 40's and 50's > More rusting rat rod potential. More rusting rat rod potential. does it say on the door "The Works"? I was thinkin more like duece coupe...but I dont know for sure..
Looks like Model A, definitely worth pulling out of the weeds.